I recently went camping in Redwood National and State Park in Northern California with my friend Ana, who is also the co-author of our upcoming cookbook Paleo MX. 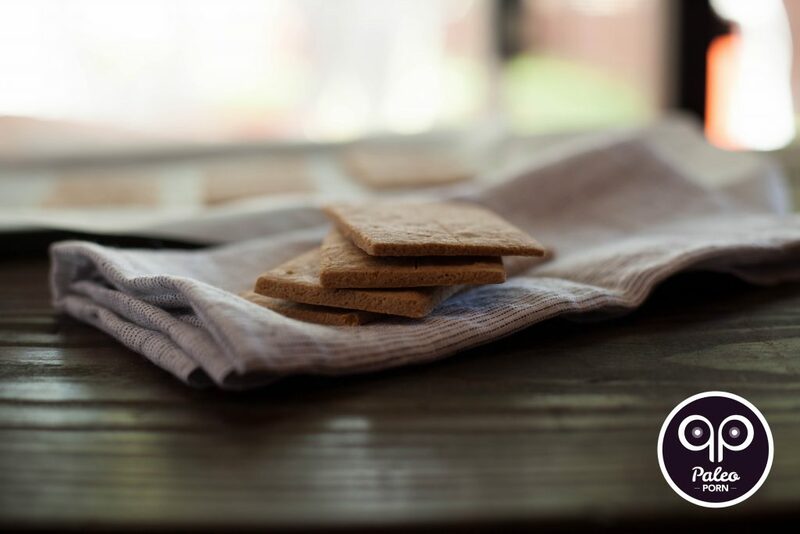 Of course we couldn’t enjoy paleo s’mores without some paleo graham crackers so before we left, I whipped up this recipe. The paleo crackers traveled all the way from Chicago to California (and back again) in my carry on bag and still upheld their flavor and texture. I know you probably want to know all about how to make paleo s’mores but first I want to tell you about the Redwoods! If you’re not familiar with the Redwoods I should start with the fact that they are the tallest trees in the world. Just check out the video above. They span from the California/Oregon border and go as far south as Monterey. The trees are millions of years old. These giants can live to be 2,000 years old and have graced the planet for more than 240 million years to be more precise. The feeling you get from being in the presence of these giants is like nothing I have ever experienced. It’s absolutely something you have to feel for yourself to really understand and I can’t recommend it enough. If you want to know what it feels like to be at peace, take a walk through a forest. If you want to be in awe of nature, take a walk (and drive) through The Avenue of The Giants. We stayed at a fabulous campsite right off the Avenue of the Giants, and I can’t recommend this location enough either. Giant Redwoods RV & Camp has everything you would possibly need and they are so close to the drive-through tree. It’s also the perfect central location to drive a couple hours north to see Fern Canyon, which is also amazing in itself and was featured in the movie Jurassic Park. These graham crackers are not overly sweet. 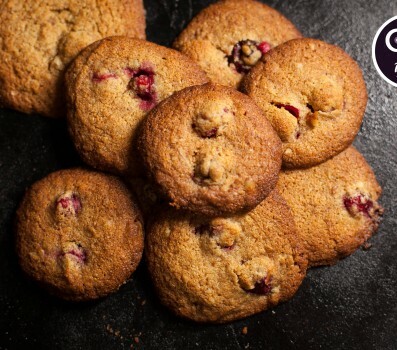 Actually they’re barely sweetened but with a little coconut sugar. I did that on purpose because I planned to make paleo smores with these little guys and I knew going in that the marshmallows would sweeten them right up. Plus when you combine marshmallows and dark chocolate, there’s pretty much enough sugar between those two things that there isn’t a need for even more sugar in the crackers. 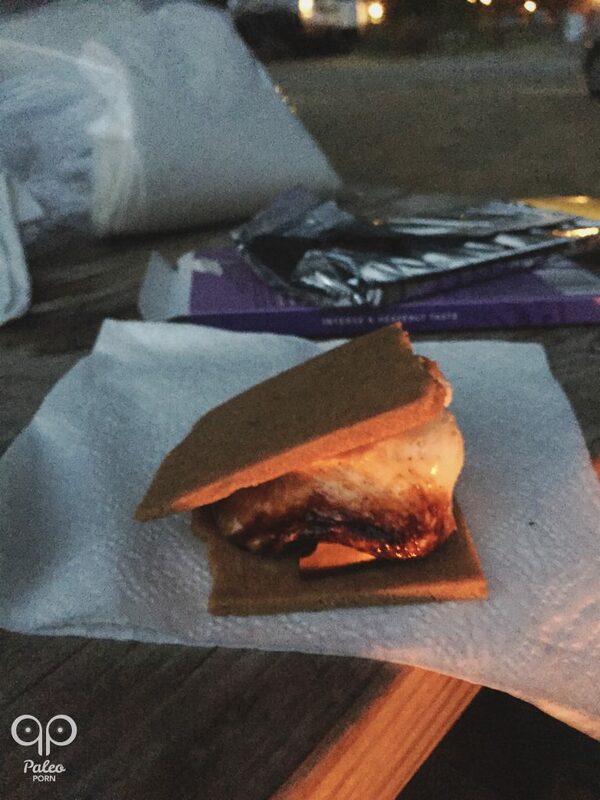 If you didn’t already know the parts of a paleo s’more, they’re exactly the same as a regular s’more. The only difference is the quality of the ingredients. 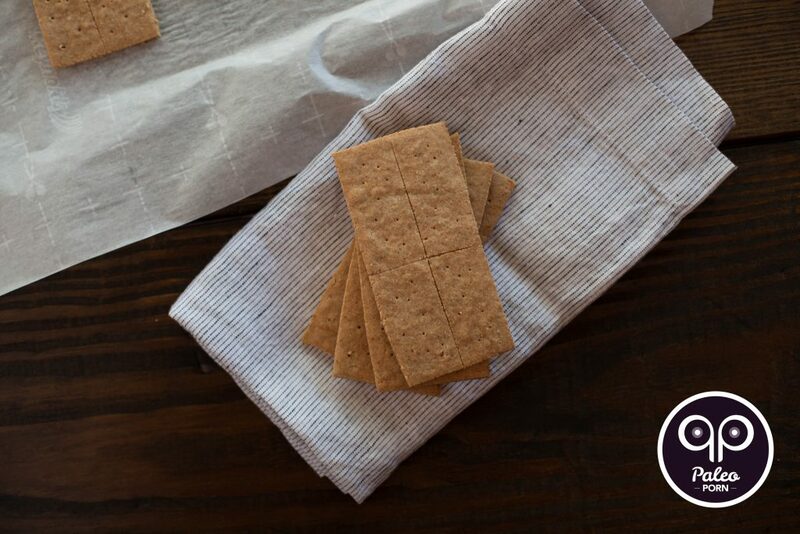 A gluten-free graham cracker with no junk in it, a soy-free chocolate bar and a clean-ingredient marshmallow. You can make each of these ingredients yourself if you’re feeling adventurous, yes even the chocolate, but I chose to only make the paleo graham crackers. Yes there is sugar in marshmallows but I’m ok with that because this is, in fact, a treat. Something for a special occasion and not an everyday meal. I understand these are a Chicago-made product so if you’re going to make s’mores at home and can’t find locally made and clean-ingredient marshmallows in your area, you can place an order from Katherine Anne Confections or you can of course make them yourself. That way you can be in charge of exactly what goes into them. There are several paleo marshmallow recipes you can find online but in the past I have experimented with Jenni Hulet’s recipe from her cookbook My Paleo Patisserie though she also has the recipe published on her blog, The Urban Poser if you don’t own her book or want to check it out from your local library. 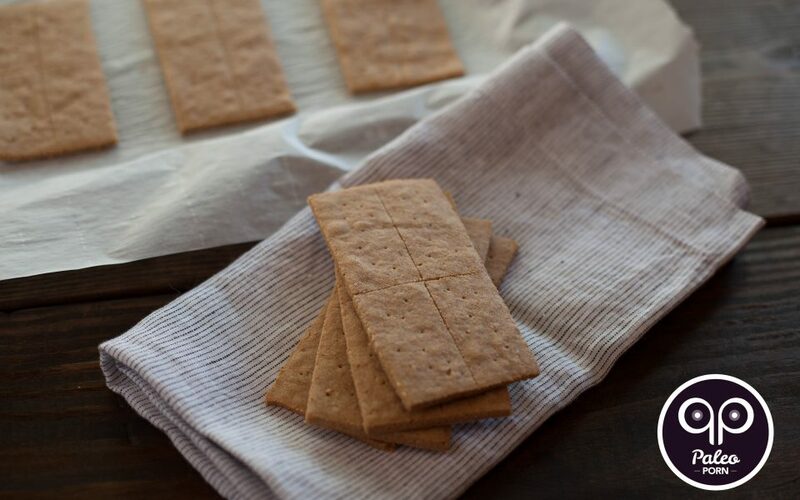 Once you have the marshmallow’s locked down, and you’ve made this paleo graham cracker recipe, all that’s left is to pick up some quality chocolate. You can now find several different chocolate companies producing amazing paleo-friendly chocolate that is soy-free. 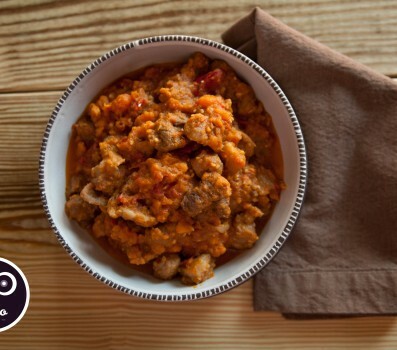 Eating Evolved is a primal company that we have always loved and supported. For this trip though I didn’t have time to place an order so I went with one of my favorites that is available in our local grocery stores, Pascha’s Organic 85% Dark Chocolate. Once you have your graham crackers made and you’ve locked down some marshmallow’s and your favorite dark chocolate all you need to do is put it all together. Combine the almond flour, tapioca flour, baking powder, cinnamon, coconut sugar and sea salt in a medium-sized mixing bowl until combined well. Whisk eggs in a small bowl along with melted lard. 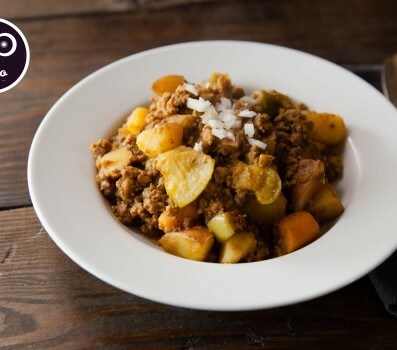 Add wet ingredients to the dry ingredients and stir with a large spoon until a batter forms with a wet consistency and everything is mixed well. Split the dough into two large balls. Place one ball of dough between two pieces of parchment paper and roll the dough out with a rolling pin until 1/4 inch thick. 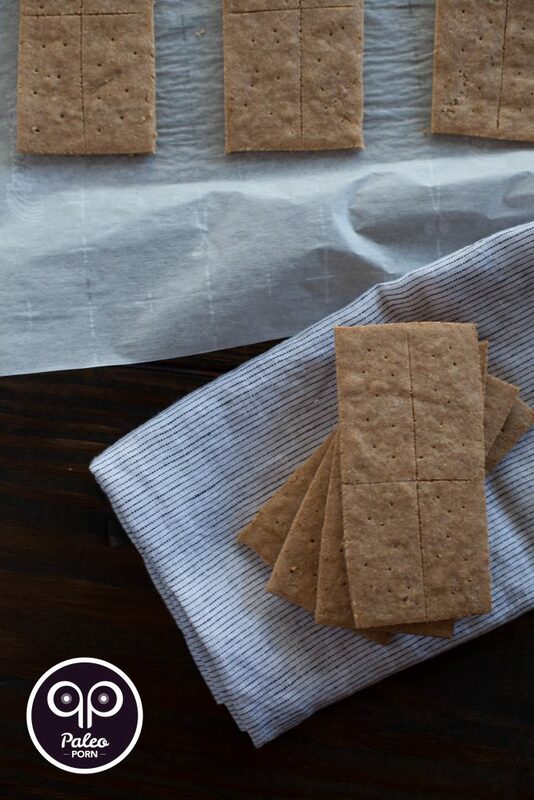 Remove the top parchment paper layer and cut dough into 5 x 2.5 inch rectangles. Carefully run a knife under each rectangle and transfer to a parchment paper lined rimmed baking tray so the rectangles are no longer touching each other and evenly spaced apart. Use remaining scraps of dough and add to your second ball of dough. Continue rolling, cutting and transferring rectangles to the baking sheet until full. Reserve remaining rectangles for a second batch to be baked. Bake crackers for 15 minutes then remove tray and cool for at least an hour. They will get more crisp as they dry.